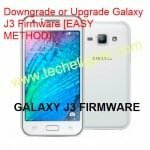 You can easily Download Samsung Galaxy Stock Firmware with just 1 click, stock firmware available of Samsung of too many Samsung Galaxy Models, just find out your model firmware from below and download it. 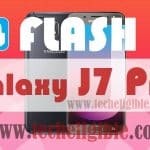 You can easily fix multiple issues, like bootloop issue, Samsung Logo stuck issue, by simple flashing Samsung device by Download Samsung Galaxy Stock Firmware. If your Samsung Galaxy device firmware is missing, you can request us in comment box, we will try to upload as soon as possible, Thanks for visiting us. Go back to Fix Samsung Galaxy Bootloop and Logo Stuck Issue. I’m looking for SM-G570Y firmware xsa. Can anyone please upload or provide link for downloading? Looking for from bypass tool for Galaxy core prime sm-g360ti.